It has come to my attention today and I guess you would have to live under a rock not to notice that it’s Superbowl Sunday in America. Not only that but in a busy Sunday of sport it’s was also the final day of Golf’s Dubai Desert Classic here in the UAE, the final day of Team GB’s assault on the Americans in the Davis Cup, the second day of the six nations in the world of Rugby as well as the normal UK football fixtures that clog up the Sky news feed! Now my sporting interest (not that I have a great deal) lies with British number one Andy Murray as he takes to the court tonight at Petco Park in San Diego, California in the Davis Cup competition. Fresh from recent back surgery and a quarter-final finish at the Australian Open, Murray, yet again, has the hopes and expectations of the nation weighing on his broad shoulders, as a win in this singles match will secure Team GB’s victory over the Americans for the first time in seventy-nine years! Go Murray and Team GB!! As the team enter the final day of play they have a 2-1 lead, they need just one win in the two remaining singles ties to break their barren run of success against their American rivals who have dominated since 1935. If Murray loses against his opponent Sam Querrey, ranked forty-four places below him then baton will fall to James Ward to win his match against Donald Young, after his heroic victory against Querrey on the first day of play. Nail biting stuff for the players and fans alike tonight – the action kicks off 7pm (GMT) for all you tennis fans! Any of you who like tennis, check out my other ‘work’ blog – Serve and Volley:The Blog. The Six Nations Rugby Tournament kicked off yesterday and as usual with these events screened in our house, the other half was shouting at the TV (clearly a genetic trait as my boys do this too) and jumping up and down with joy one minute and frustration the next. Unfortunately England was pipped to the post right near the end as France won 26-24 at the Stade de France in Paris. Arch rival Wales, playing on home turf in Cardiff, defeated Italy and today Ireland take on Scotland. That’s my Rugby knowledge about done I think. 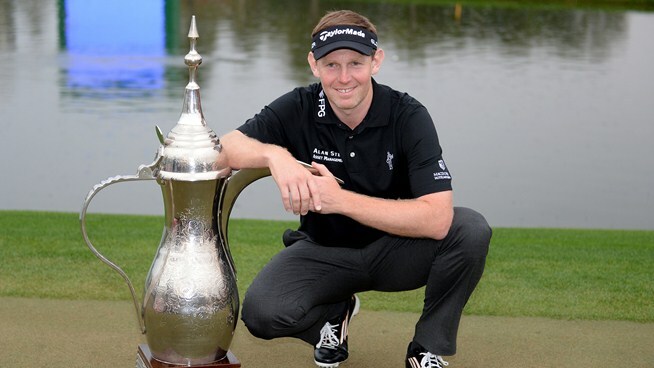 Over here in the UAE, Scottish golfer Stephen Gallacher won the Dubai Desert Classic competition earlier today at the Emirates Golf Club, the first player to successfully defend his title at this event. I was surprised to learn that the tournament was celebrating its 25th Anniversary this year (much googling to collaborate that fact) as most things here are shiny and new but it’s true, the first tournament took place back in 1989 when the European Tour visited Asia for the first time. World number one and tournament favourite Tiger Woods (event winner in 2006/08) finished in joint 41st place and in his usual detached manner his only comment on Gallacher’s win was “Good round”. Back to todays sporting spectacular taking place in a sub-zero New York City, The Super Bowl XLVIII takes place this evening at the MetLife stadium in New Jersey. As usual there is so much hype and excitement surrounding the game, which is the biggest sporting event in the US attracting an average 100 million people watching worldwide with advertisers paying a whooping $4 million (£2.43m) per thirty-second slot in the commercial breaks – wowzers! Along with the usual team build ups there has been a lot of media discussions about the adverse weather conditions and how this is the first Super Bowl to be held outdoors in a colder state and on artificial turf. 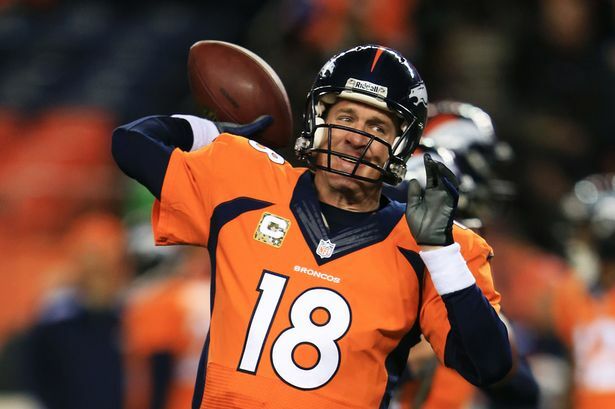 It’s the second Super Bowl appearance by the Seattle Seahawks who have never won versus the seven time finalists the Denver Broncos who won the title back-to-back in 1998 and 1999. 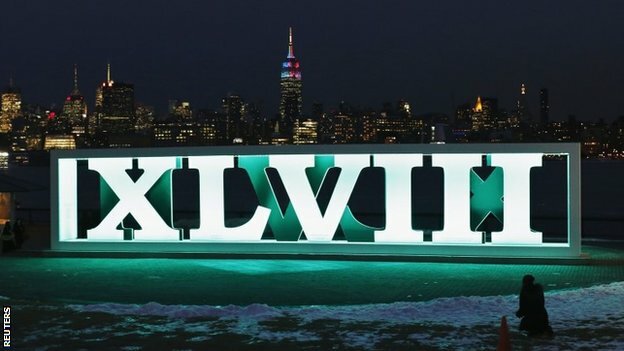 The other half and I were in NYC ten years ago on Super Bowl Sunday and it was crazy (understatement) and unbelievably cold, you could only be outside for very brief periods of time, copious amounts of hot drinks and marble cake were consumed only for medicinal reasons and warmth of course. The most exciting bit for me was the infamous Justin Timberlake and Janet Jackson ‘wardrobe malfunction’ or ‘nipplegate’ as you might like to call it and I am looking forward to this years prestigious half time show. 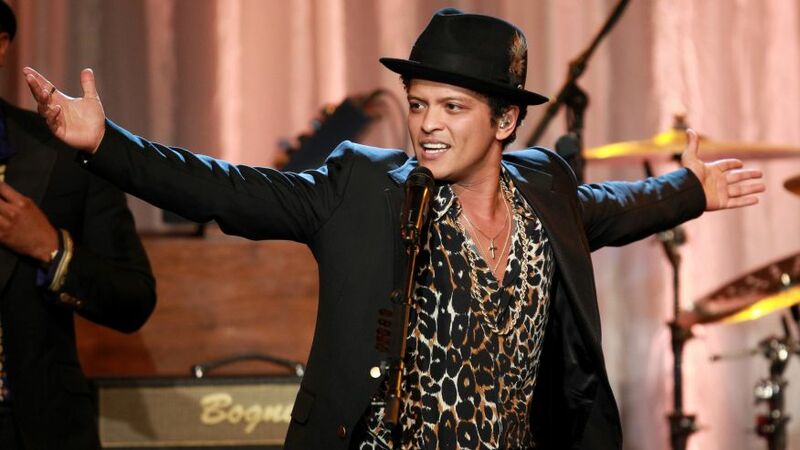 Last weeks ‘best pop vocal’ album Grammy winner Bruno Mars is topping the bill collaborating with the Red Hot Chilli Peppers – what a show that’s going to be! We saw Bruno Mars in Dubai and he was fantastic and I am excited to see him again later this year at Wireless Festival, the Chilli’s are on my ‘must see’ list so I am excited for their performance together. No doubt it’s going to a tough gig for Mars, but with ten million albums sold and the ‘Billboard Artist of the Year ‘2013 title under his belt as well as the newly awarded Grammy, his popularity is not in any doubt but still this must be the biggest performance of his career to date. He will be following in the footsteps of some of the world’s greatest and most famous musicians including Bruce Springsteen, The Who, Paul McCartney, The Rolling Stones, Prince, Madonna and last years show that saw Beyonce reunited with Destiny’s Child in a critically acclaimed performance. The show will open with Queen Latifah singing ‘America The Beautiful’ followed by Opera’s Renee Fleming performing the National Anthem. As if that’s not enough sporting greatness for one week, this Friday’s sees the opening ceremony marking the start of the twenty-second Winter Olympic Games in Sochi, Russia. Surrounded by controversy the games will run until 23rd February with ninety-eight events in fifteen winter sport disciplines and will be followed by the 2014 Winter Paralympics. The Sochi Winter Olympics will be the first event in the Russian Federation since the 1980 Moscow Summer Olympics were held in the region pre-breakup of the USSR back in 1991. 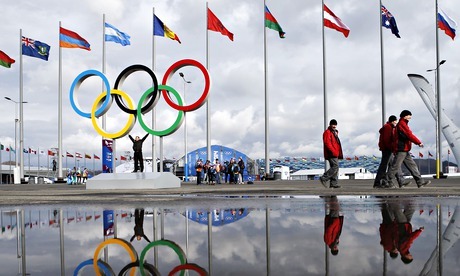 The lead-up to the 2014 Winter Olympics has been some major controversies including corruption allegations, political unrest, unprecedented levels of public homophobia and security concerns but President Putin has declared that the Olympic Games in Sochi will be “the safest Olympics in history”. Click to read this report from The Guardian about the most controversial Games yet. Well that’s me sported out…… just writing and researching this stuff is exhausting, let alone competing. Right I am off to watch Channel 4s ‘The Jump’, have you seen it?? It’s celebrities competing (or should that be injuring themselves) in Winter Sport Disciplines ahead of the Olympics, most amusing, check it out 😉 Sir Steve Redgrave to win! !